If there’s one thing I learned from The Festival this past weekend, it’s that I’ve been so damn focused on American craft beer, that I’ve completely forgotten about what’s going on in the rest of the world. And, perhaps I’m not alone in this US-centric perspective. Talking to various people at The Festival, there was certainly knowledge about specific worldly brewers, i.e. Westvleteren, Mikkeller and Cantillon – but overall there was a general unfamiliarity and a broad excitement for new experimentation. 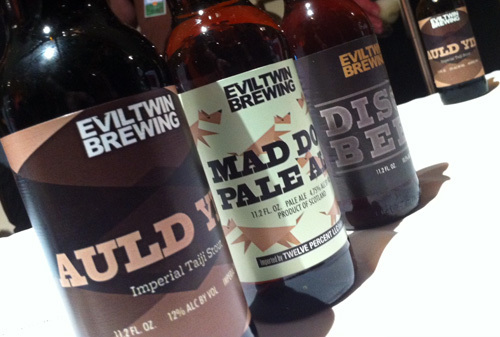 Not only with brewers, but also with styles of brewing that are seldom seen in the US mainstream craft beer scene. Take for instance Gueuzerie Tilquin from Rebecq-Rognon – a new producer to the Belgium beer scene. Their Oude Gueuze Tilquin à l’Ancienne is an amazing Gueuze that until recently wasn’t available in the US. The nose bursts with acidic tartness and funky sweet cherry. The beer lights up your senses with green apple candy, lemon zest and sun baked red wine grapes – earthy sour and sweet sugar coming together in a harmony that just makes you go, “Whoa!” Try finding that on the American craft beer shelf. Brouwerij Kerkom from Sint-Truiden, Belgium was another great find. 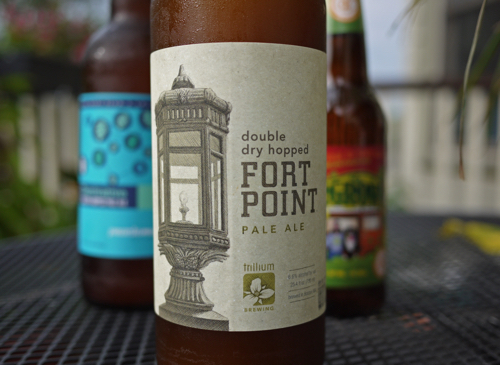 This farm brewery has been producing beer since the late 19th century. 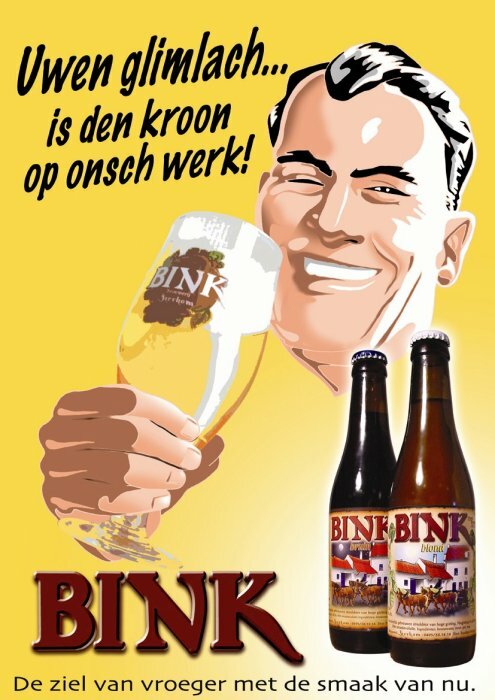 Their Bink Blonde ale was a standout Belgian Pale – spicy and earthy with a rustic herbal hoppiness layered under fruit and honey. Who said big hops don’t belong in Belgian brewing? 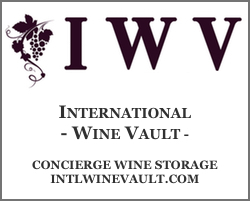 And their Winterkoninkske Grand Cru – holy flavor bomb! A magnificent burst of concentrated sweet mocha and chocolate up front that sends your taste buds so high that you never think they’ll come down, but without fail, mellows off into a long, warm and honey bee finish. Truly remarkable. But, perhaps it’s not entirely our fault that there is a general lack of knowledge about the global microbrew community. The majority of the worldly producers showcasing at The Festival have limited or, until recently, no distribution in America. So gaining a knowledge of these brewers would be virtually impossible without traveling abroad. And it’s a shame, because the quality of the beers being poured at this two-day event were outstanding. And here’s where the producers of The Festival come in. Shelton Brothers is the company behind this first-year event. Based in Western Massachusetts, Shelton Brothers is – generally speaking – doing for beer what Kermit Lynch did for wine. They’re traveling the world, and selecting extremely high quality artisan breweries to import into the US. Breweries must meet a rigorous list of parameters to make the cut, and judging from the selection at this beer festival, they’re doing a mighty fine job. Some of the stand outs of the evening (in addition to those listed above), included – of course – Westvelteren XII and Cantillon. 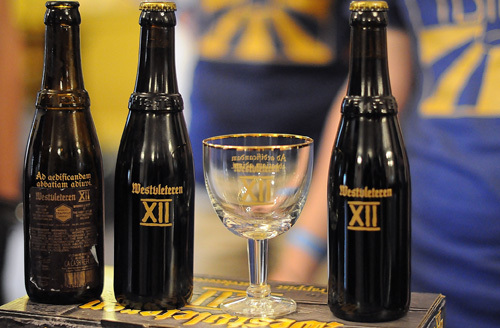 Westvelteren was easily the most buzzed-about star of the show. In fact,1,500 lucky event attendees were given the extremely rare opportunity to purchase a collectors 6-back of the beer, of which revenues are going toward the restoration of the Sint-Sixtus Abbey in Westvleteren. A consistently top-rated beer, this Quad is brewed by Trappist monks in Belgium, bursting with an intensity of flavor that is exquisitely balanced in every way possible. 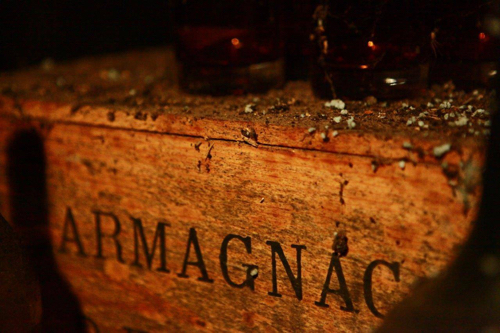 The long, creamy build-up in the mouth lets out a velvety explosion of dried fruits, malted honey, toffee, syrup, anise and rum-soaked raisins. Truly a magnificent beer. But, Westvelteren, as praised as it may be, had some mighty steep competition. Cantillon’s Single-Barrel Lambic I, for instance was one of the best Lambic’s I’ve ever tasted. It’s a head-turner of a sour, one that demands time and thought – a sweet and tart concoction of citrus and apple with depth and complexity that covers the flavor wheel from baking spices to funky cheese. 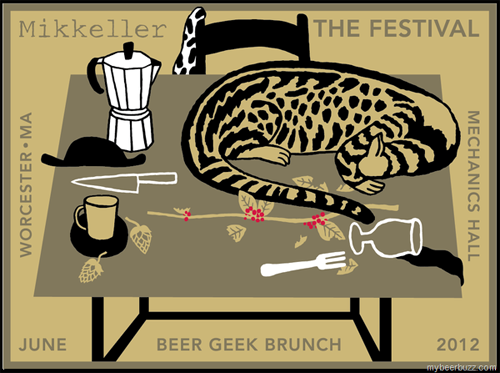 And, lest we forget Mikkeller’s Beer Geek Brunch Weasel. An imperial stout that digs deep into its black abyss to bring out incredible concentration, sharp espresso, decadent mocha, intense baking spices and a chewy earthiness. A very memorable and delicious coffee stout indeed. 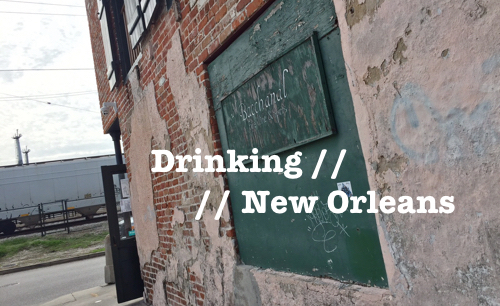 There were far too many breweries and brews for one to take in during a four-hour session. 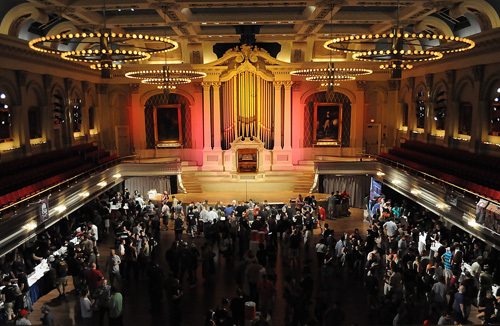 Even the American brewers that were in attendance were impressive – Hill Farmstead (Vermont), Jolly Pumpkin (Michigan), Against the Grain (Kentucky), St. Somewhere (Florida) and Jester King (Texas). These guys are all stepping out of the American craft norm to produce offbeat and experimental beer, in many cases making use of European brewing methods and barrel aging. It was awesome! Thanks! Please do it again! Let’s not forget the amazing lambic blend presented by Catalán (Spain) brewer Carlos Rodriguez (misnamed Virigili in the Festival pamphlet) of Masia Agullons Brewery. Setembre is a barrel aged blend of his own Pura Pale Ale with Cantillon and aged for over a year in oak barrels. There was tragically not enough to go around and both days the supply was exhausted before the end of the sessions.